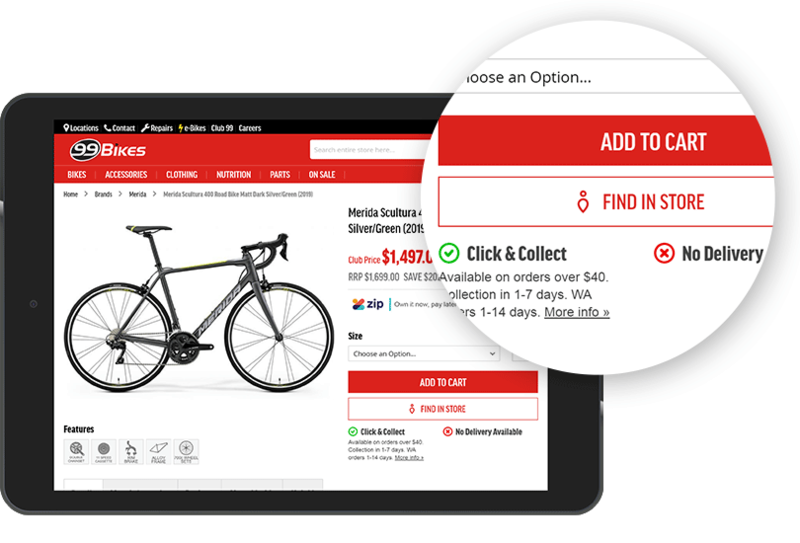 When Australia’s largest bike retailer 99 Bikes needed to improve customer engagement and web functionality, they looked beyond their DIY find in store solution and replaced it with stockinstore. “The DIY approach for the find in store solution we implemented wasn’t really working for us”, says Owen McLeod, COO at 99 Bikes. “Instead, we needed a solution that could co-exist with Click & Collect, because we know that when our staff get involved, it leads to a better outcome for our customers. 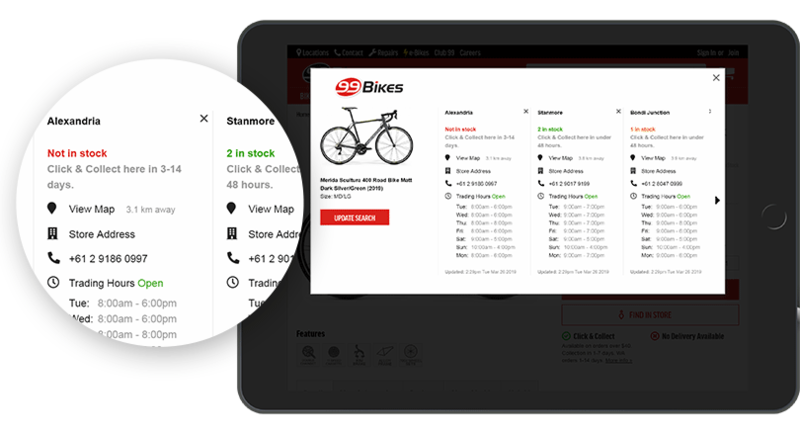 “And that solution was stockinstore.” Owen says stockinstore has delivered great improvements to website functionality. “Our customers can check where a product is in stock and receive an accurate estimate of the time it will take to have their Click & Collect order ready to collect, per location. Andrew Maver CEO of stockinstore says they first spoke to 99 Bikes 12 months ago when they were redeveloping their website. Owen says the stockinstore implementation process was fast and easy. “The team worked directly with our ERP provider to build the API integration and we were given clear updates at each stage of the implementation process.